Massage Therapy in Richmond, VA: What is a Swedish Massage? Swedish massage is the most commonly offered and best-known type of massage. If you have never had a massage before, a Swedish massage at Glow Med Spa is the perfect place for you to start. During Swedish massage, you therapist will use massage oil or cream to facilitate smooth, gliding strokes with a light to medium pressure. The term “Swedish massage” refers to a variety of techniques specifically designed to relax muscles by applying pressure to them against deeper muscles and bones, and rubbing in the direction of blood flowing to the heart. Its main purpose is to increase the oxygen flow in the blood and to release toxins from the muscles. It is known for its original strokes that compose its method: effleurage (stroking), petrissage (kneading), tapotement (striking), and friction (rubbing). The many benefits of Swedish massage that have been recorded throughout massage history include: it shortens recovery time from muscular strain by flushing the tissues of lactic acid, uric acid, and other metabolic wastes. It increases circulation without increasing heart load and it stretches the ligaments and tendons keeping them supple and pliable. And yes, that is what a Swedish massage is in written copy. Don’t you think you need to feel the definition now? 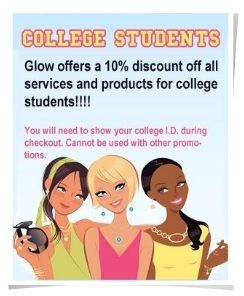 Pick the Glow Med Spa nearest you and call today to book your massage!